A Russian passenger plane crashed minutes after taking off from Moscow’s Domodedovo Airport on Sunday, killing all 65 passengers and the six crew members aboard, according to Russian state media. Saratov Airlines flight 6W703 had been bound for the southern city of Orsk near the Ural mountains and the Kazakhstan border. Wreckage from the seven-year-old Antonov An-148 jetliner was found in a snowy field some 50 miles southeast of Moscow, near the village of Argunovo. It is not yet clear what caused the crash, but Flightradar24 tracked a steep descent from the plane about five minutes after takeoff. Unconfirmed reports point to some kind of mechanical problem, though human error or heavy snowfall may have also been factors. The plane’s “black box” cockpit voice recorder has apparently been found. There have been no reports suggesting the crash was due to an act of terrorism, but Russian president Vladimir Putin, who expressed his condolences to the friends and families of the dead, has called for a special commission to open a criminal investigation into the crash. All 65 passengers were reportedly from the country’s southern Orenburg region, which is where Orsk is located. The BBC reports that Saratov Airlines was temporarily banned from operating international flights in 2015, after unauthorized personnel were discovered in a plane’s cockpit during a surprise inspection. 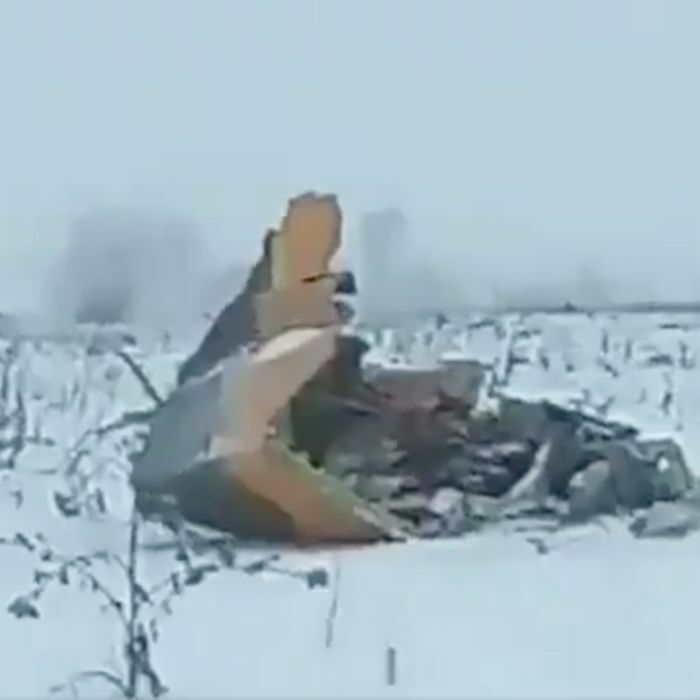 Plane crashes are relatively common in Russia, as well.